Among the items on our travel “to-do” list is to cruise more often. 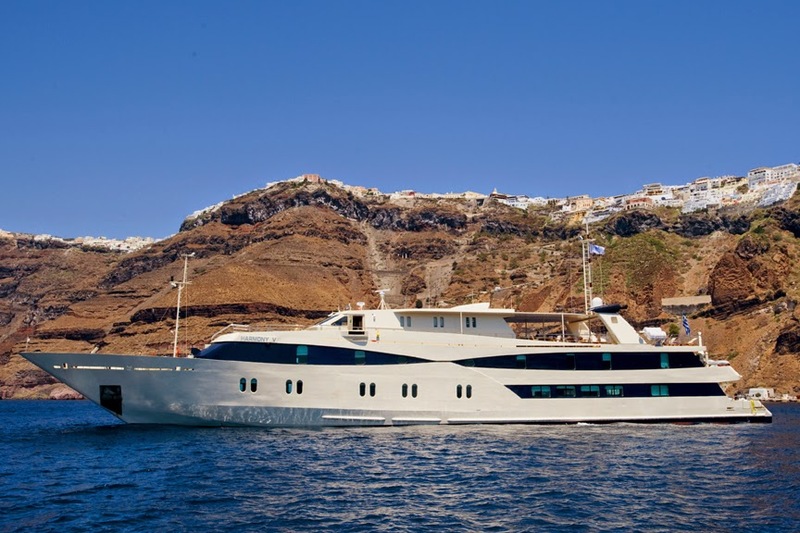 However, the industry trend toward larger and larger ships is exactly the opposite of what appeals to my wife and me, so it was with great interest that I read the email from Group IST (International Specialty Travel) announcing the launch of Arcadia Small Ship Cruises. Arcadia Small Ship Cruises comprises “a fleet of fine small ships, including yachts and barges, sailing to hard-to-reach domestic and international ports of call,” according to the email. Precisely what we prefer. Trusted as a provider of land-based travel programs throughout Europe, the Near East and Africa, Group IST conducted an extensive search for a cruise company that would allow it to offer a diverse range of sea-based programs that are in line with the company's ideals. "We've vetted many cruise lines and small ships around the world, looking for products that we know our audience will find substantial and memorable," Michael Goren, Group IST President and CEO of Group IST said in the email. Partnering with Blount Small Ship Adventures, CroisiEurope, Rivages du Monde and Variety Cruises, Arcadia Small Ship Cruises offers programs to destinations including Cuba, the Mekong River, Seychelles, Costa Rica, the northeast United States, the Greek islands, and France's rivers and canals. "Small ship cruises can not only dock in hard-to-access ports, but they give cruisers ample time to explore each destination," Tom Souza, COO of Group IST said. "Arcadia ships often dock right in the heart of the various ports without the need to tender and with no long security lines." Arcadia sails to diverse ports of call many larger ships cannot reach, including the islands of New England, the Adriatic and the Panama Canal. In addition to serving more exotic and less traveled destinations, Arcadia also strives to offer American travelers a more service-driven and personalized cruise experience than available aboard larger vessels. Arcadia provides what it calls “intimate service” aboard its state-of-the-art ships. Most of its vessels accommodate 100 passengers or fewer, providing a small guest-to-crew ratio that allows for a more personalized connection with the staff and fellow passengers. Its cruises also feature insights from local experts who offer presentations and are available on board between destinations, as well as area specialists who lead optional land-based tours at the ports of call. The cruise line says it is also committed to offering affordable rates. For example, its seven-day Islands of New England cruise aboard the 88-passenger Grande Caribe from Providence, R.I., sailing through New England to Martha's Vineyard, New Bedford, Block Island and Newport, R.I., among others, starts at about $2,000 per passenger, or about $4,000 for a couple. My wife and I have considered cruises of a similar length aboard larger cruise lines but invariably find we’d have to spend about $1,000 a day for the two of us for the type of cabin we prefer. Of course, prices will vary with destination, cruise length, and season. More information is available at www.ArcadiaSmallShipCruises.com.